Make a statement with this gorgeous necklace charm from Kirstin Ash. 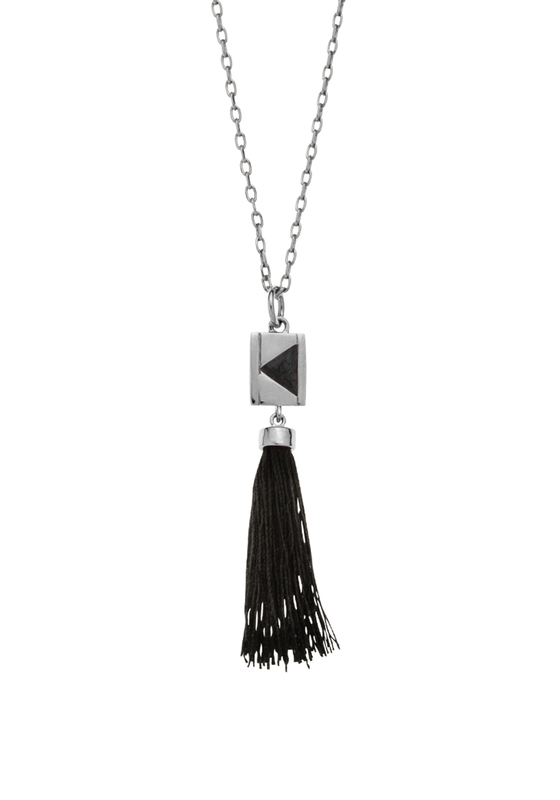 This necklace charm is beautifully made with a black gemstone, sterling silver finish and cord tassel. Pair with another charm from the range or wear it on its own.